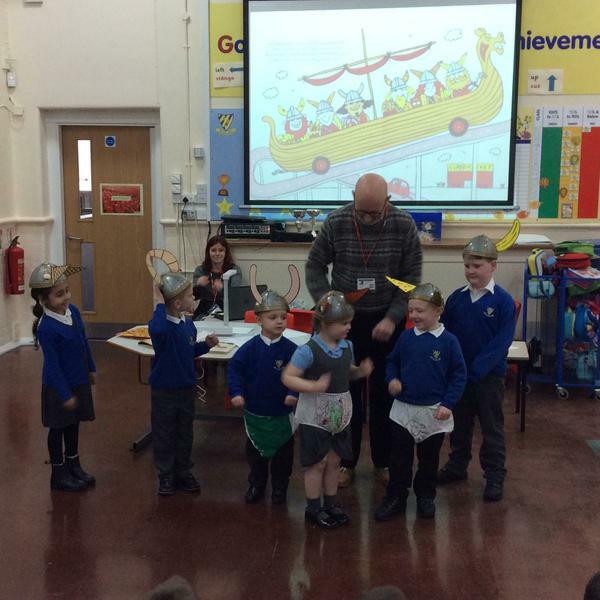 Today, Reception and Key Stage One had a special visit from the author and illustrator Nick Sharrat. In the last few weeks, we have been reading his books such as, 'Pants' and, 'Shark in the Park' and creating our own work in his style. Reception have been particularly busy designing and making their own 'pants' for different jungle animals. It was great to have Nick Sharrat come into school today as the pupils had a chance to see how an illustrator creates his images to go with his story ideas. 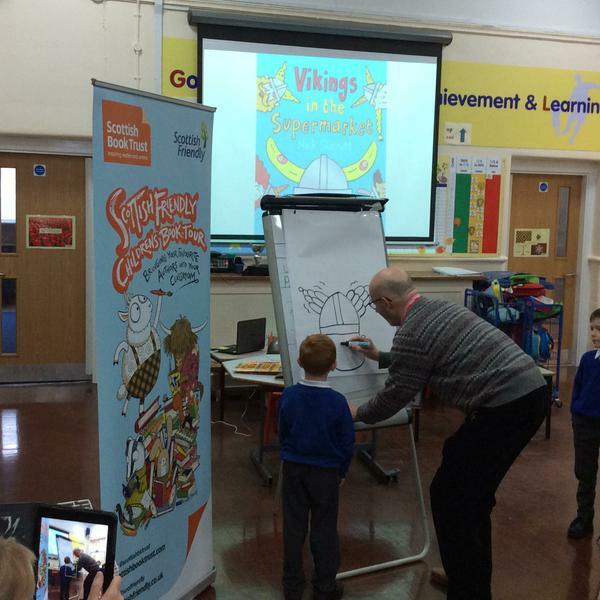 Everyone enjoyed copying Nick as he demonstrated how to draw some of his story book characters. Click on the link below to take a look at some of the drawings we made!